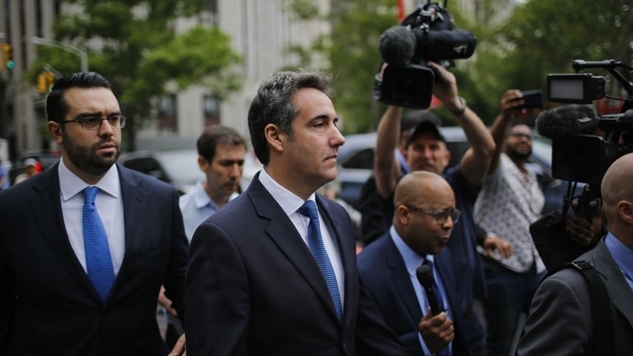 As to why Cohen may feel compelled to cooperate with federal prosecutors, only Michael Cohen can say—but Ken White, a defense lawyer who makes a living off battling the government, gave us one idea. AT&T's CEO has apologized for paying Michael Cohen $600,000 for “advice” on the TimeWarner acquisition (which just went through). It took until their third statement for pharmaceutical giant Novartis to come up with this doozy of an explanation. They said they paid Michael Cohen $1.2 million (over 12 months), had one meeting, and determined that he would be “unable to provide the services that Novartis had anticipated related to US healthcare policy matters.” However, despite getting nothing out of a meeting they agreed to get something out of, Novartis said they couldn't break the contract for cause, which either means that they have Bob Loblaw-caliber lawyers or they're lying (Trump also hasn't followed through on his campaign promise to lower drug prices). And that's just a sampling of one of Michael Cohen's bank accounts that we have an insight into thanks to a law enforcement official leaking a highly sensitive Suspicious Activity Report to Stormy Daniels' lawyer, Michael Avenatti (there's money in the account from a company owned by a Russian oligarch too). Daniels was paid $130,000 out of this same bank account, and if Michael Cohen is going to “blow up Trump,” then history will point to Stormy Daniels as one of the sparks which led to the explosion. UPDATE: Gabriel Sherman reports that Cohen has not flipped yet, and this is his way of asking Trump for help. Get your popcorn ready, folks.